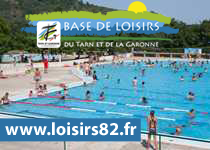 The ambition to build a canal in the South of France has existed since the antiquity. 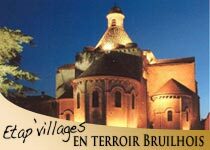 Many projects and studies were commissioned, but all these attempts were unsuccessful and none of them resolved the immense problem which was to supply enough water to the ‘Canal du Midi’ to make the navigation possible at all times. 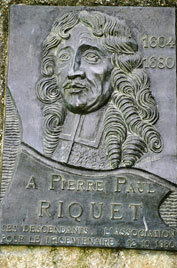 In 1662, Pierre-Paul Riquet found the solution by devising a system for feeding the canal. 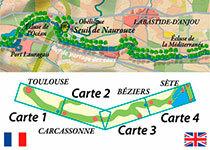 It was based on the diversion of water from several streams and rivers of the ‘Black Mountain’ and the re-routing of the river to a point of sharing to ‘Naurouze’ sill, so that water flows from both sides to join Toulouse to the Mediterranean and towards Toulouse and finally the Atlantic Ocean. 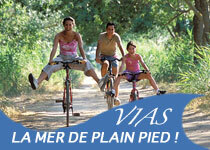 To supply enough water to the ‘Canal du Midi’ for a year, we need about 90 millions of Qubic Meter Square of Water. 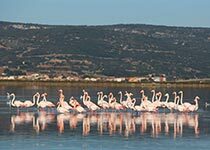 ‘Saint-Ferreol’s’ lake is fed by the ‘Black Mountain’s’ and still remains the major source of water for the Canal with a surface of 67ha. A dam of 786 m long and 149 m wide retains the water. 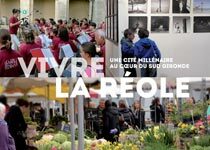 A museum dedicated to the ‘Canal du Midi’ is located near the waterfalls where you can discover the history of the lake’s construction. 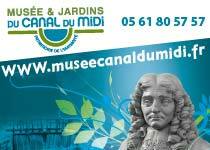 The construction of the ‘Canal du Midi’ lasted fifteen years, from 1666 to 1681, under the supervision of Pierre-Paul Riquet and under the reign of Louis XIV. 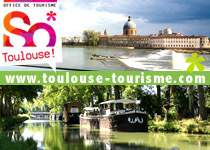 It is the oldest canal in Europe that is still in operation. 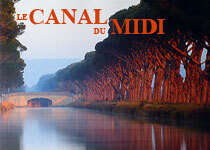 With a length of 240 km from Toulouse to the Mediterranean, the ‘Canal du Midi’ is the largest project of its time and remains one of the greatest achievements of civil engineering of Europe in this century. At the peak of the work, there were 12,000 laborers on the project with only Pick axes and shovels. Financial and social conditions of employment for these workers were better than anywhere else. In order to keep his workforce, Riquet paid his workers a good wage. More importantly, he provided benefits which have never been done before EG : - days off due to rain, Bank Holidays, Sunday’s and Sickness leave were all paid. 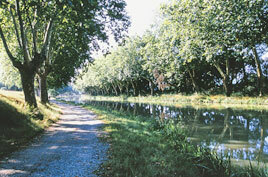 Employment contracts on the ‘Canal du Midi’ were individual and by free recruitment. Salaries were double the wages of those in agriculture. 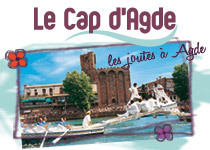 Several Professions were found on the ‘Canal du Midi’ sites. Bricklayers and Stonemasons were in charge of the construction of structures such as the bridges and locks. Blacksmiths were in charge of the maintenance of all the equipment. 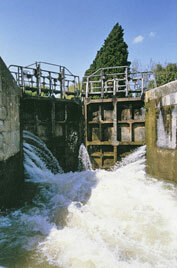 The Canal du Midi has 63 locks, 126 bridges, 55 aqueducts, 7 water slope, 6 dams and 1 tunnel. The Locks are made out of stone sealed with lime, some of which are jewels of architecture and are an architectural and technical triumph. 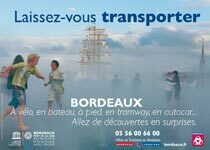 Since its commissioning, the ‘Canal du midi’ has been used to trade goods E.G wheat & wine, but also travelers (100 000 passengers in 1856) and ‘post’. 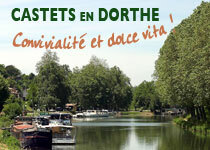 A “malle-post” service is set up on all the boats along the canal. As were horse drawn coaches, boats were also pulled by horses on the towpaths. 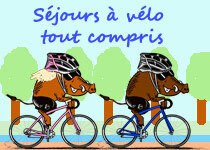 It took about 4 days to travel from Toulouse to Sète. 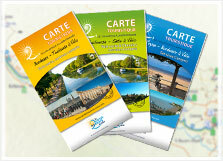 Since 1996, the Canal du Midi is classed as World Heritage by the UNESCO. 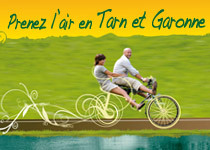 It is a testimony of XVIIth-century France’s ingenuity and spirit of enterprise.